At dinner one night in Ubud, an artist town in Bali, it turned out that the person sitting next to me had worked in the early years with Harry Palmer of Avatar to help “put him on the map.” He was older now, and had accumulated a sizable amount of wisdom, which was shining through his eyes. He explained that, at any moment, we can stand back and choose which way we wish to respond, or feel, or focus on what we really want. Something tingled in me. A good cosmic coincidence arrangement was going on here! He hit the nail on the head! In fact, that was the name of the magical personal growth course developed by Dr. Rod Newton, for which I had been invited to take over international marketing. We’ve been teaching the course worldwide since 1990, calling it the Living From Vision (LFV) course. Many graduates from LFV have told us the same thing: the training to choose and to refocus their vision amidst adversity has helped them realize that we live in a dreaming universe. I am reminded of one graduate in particular who had studied under a couple of Indian gurus with intense fervor before he began studying Living From Vision. He told me that one of the most valuable life tools he had ever received was the STOP-LOOK-CHOOSE method LFV teaches. Here’s how it works. Step Back: In your mind, transport yourself to a serene, peaceful place such as a beautiful beach. Really see yourself there and allow all anxiety to leave your body until you feel completely at ease. Take a Look: Observe the problem area while remaining completely outside of it in this peaceful place. As you begin to get an overview of the situation, you feel even more relaxed. Define Your Goal: Take the position of being the director of your life’s film. Refocus on what you really want. Describe your goal clearly. Imagine and Feel Your Success: Allow yourself to feel exactly what it is you really want as if it has already happened. Use all of your senses and imagine yourself experiencing the sensations that go along with your goal. Hold the vision of your success until you can feel it with 100% certainty all the way to your core. Let Go: Let go and let the universe rearrange itself for the highest good of all concerned. This technique allows you to actually step out of the “movie,” the drama, the story. As you make space for a new awareness to come in, you realize that this movie unfolding around you is affected by (yet separate from) the light that brings the scene to life. From there, you can refocus on what you really want, make a choice, then re-enter your life movie. The changes will be noticeable. I love to practice this over and over when faced with anything that is less than beautiful. When you are able to pull out of a negative or less-than-satisfying situation, you exercise a very important aspect of your being. By becoming aware, we take one of the most important steps in our spiritual evolution. First and foremost, you are the essence of awareness itself. Outer reality is secondary to that awareness; it responds to that awareness. You have the power to change your inner movie script. Once you have mastered stopping the movie and stepping out, it will become easier and easier to choose in your mind, heart, and soul what you really want. Practice daily how to focus on what you want and manifest it. (This free app can help.) In doing so, you will unify the left and right hemispheres of your brain and begin to access higher levels of consciousness. Merging the two halves of our brain results in a singularity from which we can co-create a new reality. Refocus. Imagine a better outcome. Then reassemble a new reality. The secret ingredient that is vital to your success is embodying the feeling of your ideal outcome as though it has already happened. As always, “practice makes perfect.” Awareness can accomplish miracles. It is the hidden power of the unseen universe. It is what quantum physics is trying to describe. In the beginning of any practice, start with small goals. With time, practice, and in cases of true need, you will learn to shift larger aspects of your life to express more harmony, more beauty, and more fulfillment. Much like yogis are able to create miraculous manifestations, healings, etc., you can co-create an ever more beautiful reality simply by using focus and the power of choice. 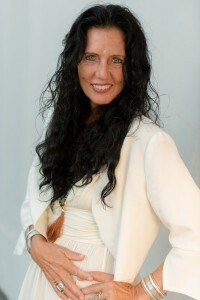 About the Author: Ilona Selke is an international bestselling author, seminar leader, lecturer, musician and CEO/cofounder of Living from Vision. Over 30+ years, Ilona has inspired thousands of people worldwide to discover the power of their consciousness and create a successful life. 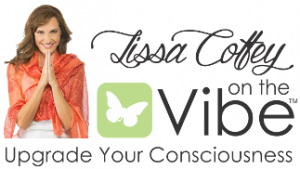 Her new book “Dream Big: The Universe Is Listening” offers real-life stories of transformation as well as practical tips anyone can use to shapeshift their lives from the inside out. For more information, visit www.IlonaSelke.com and www.LivingFromVision.com. It’s kind of like that song that goes: “You don’t know what you’ve got ‘til it’s goneâ€¦” Know what you’ve got – you’ve got SO much!!! We have everything, all of nature, all of creation, all of the infinite possibilities for our lives. And we’ve got it right here, and right now – open up your awareness to it, accept it, embrace it!